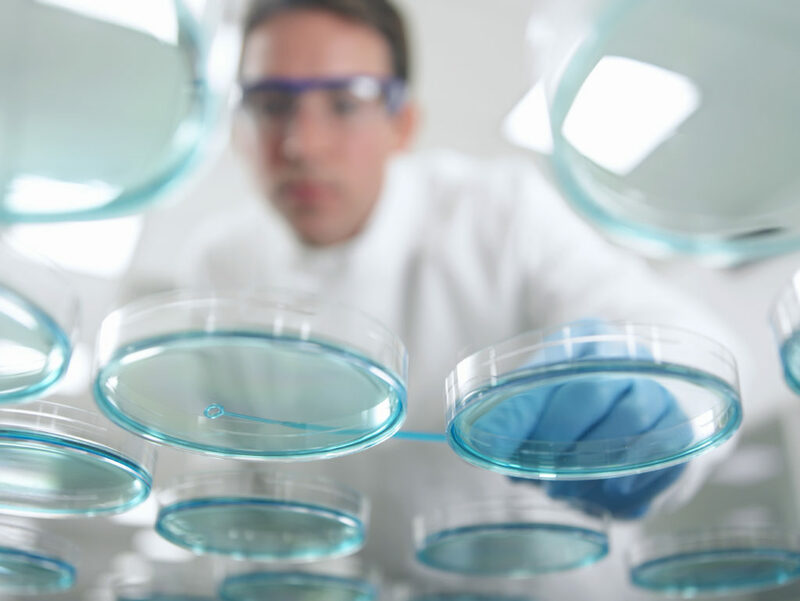 Due to the complexities of researching new AMR-relevant products, it is important that the industry collaborates with other stakeholders to share knowledge and expertise. This can improve the efficiency and synergies across research and development of much-needed novel antibiotics. Strategic public-private partnerships enable GSK to collaborate with governments, scientific institutions and other companies to stimulate progress in research and science for AMR-relevant products. By sharing our knowledge and expertise while learning from others, such collaborations reduce the overall time and resources needed to produce AMR-relevant products. Co-funding partnerships have the added value of sharing the risk and cost associated with low return on investment antibiotic research and development. ND4BB: GSK is one of the architects of the Innovative Medicines Initiative (IMI) New Drugs for Bad Bugs (ND4BBs) programmes – a core part of the IMI and the European Commission’s “Action Plan Against the Rising Threats from Antimicrobial Resistance”. . We are participating with pharma and academic partners in ND4BB projects to: (i) identify new ways to get antibiotics into Gram-negative bacteria (TRANSLOCATION); (ii) implement more efficient clinical trials for antibiotics (COMBACTE); (iii) accelerate progress in developing new antibacterials for Gram-negative infections (ENABLE); and, (iv) transform the way policymakers stimulate antibiotic innovation while ensuring new products are available and used sustainably (DRIVE AB). BARDA and DTRA: We also work directly with governments to support the development of new antibiotics. Since May 2013, we have had a unique innovative partnership with the Biomedical Advanced Research and Development Authority (BARDA), part of the US Department of Health and Human Services (HHS), which provides us with the flexibility to work both on studies that were already underway within GSK and on new research across multiple assets in our portfolio. As the partnership is across more than one potential medicine, if a molecule fails we can switch our focus to a different asset without having to establish a new contract – an approach which accelerates the overall development process. We are also partnering with the Defense Threat Reduction Agency (DTRA), part of the US Department of Defense (DOD), to develop a treatment for resistant bacterial biothreat infections. GSK Institute for Infectious Diseases and Public Health in Beijing: We have brought together academics, government, healthcare professionals, regulators and antibiotic policy makers to catalyse action in China by creating the GSK Institute for Infectious Diseases and Public Health in Beijing in 2016. The Institute aims to create sustainable, affordable treatment options for patients in China by aligning GSK’s R&D capabilities in infectious diseases with the country’s public health interests. Since inception of IMI’s ND4BB in 2013, GSK has contributed over 55 million Euros to the project. In 2016 alone GSK contributed with 8 million Euros. These contributions are matched by funding from the European Commission. BARDA: We are already seeing evidence that this collaborative approach is working – one of the investigational antibiotics we are developing as part of this partnership is currently in phase 2 development. DTRA: Since 2007 we have worked with DTRA to identify a candidate antibacterial compound and progress this asset through phase 1 and phase 2 development. This partnership allows us to realise the full potential of our advanced antibacterial asset, and address the need for preparedness for a military and/or civilian biothreat emergency involving pathogens resistant to other therapies. GSK Institute of Infectious Diseases and Public Health: The Institute will bring a three-year investment of over £20 million GBP and more than 20 dedicated experts in medicine discovery, development and epidemiology. Establish true collaborative partnerships: This is not just about pooling financial resources but also about sharing knowledge and expertise in two-way transparent interactions. Government agencies employ highly-qualified subject matter experts who often have a diverse range of experience and access to a wide network of experts in the public sector. The most successful partnerships leverage all this expertise. Ensure and monitor alignment of goals: An obvious drawback of working with a partner is the time and effort required to communicate progress and issues and agree a way forward. Alignment of goals and a shared vision is critical in facilitating this process. Delays and disagreements can be minimised if there is alignment on ultimate goals from the beginning of a partnership. When working with the US Government, Other Transaction Authority (OTA) agreements provide more flexibility than Federal Acquisition Requirements (FAR) based contracts. For research and development work, when it is necessary to be able to quickly respond to emerging data, we have found the OTA to be the most appropriate contracting vehicle.